If you love the Gucci Jordaan metallic loafer but are looking for a cheaper version, well I have good news for you – I found a similar version from Topshop have been reduced from £45 to £10! These Karpenter leather loafers are perfect to style with tailored trousers or with jeans. You can purchase it here. Whilst they look quite shiny here, they are not in real life. I do suggest you go a size up as they are cut small. Alternatively, as the back is of the shoe is not rigid and in fact quite soft, you could just step on the back portion to make it look like a mule/slipper. I wore it for the first time for 8 hours at a go to walk around London (Hyde Park, Spitafields Market, Covent Garden etc.) and had no discomfort – score! 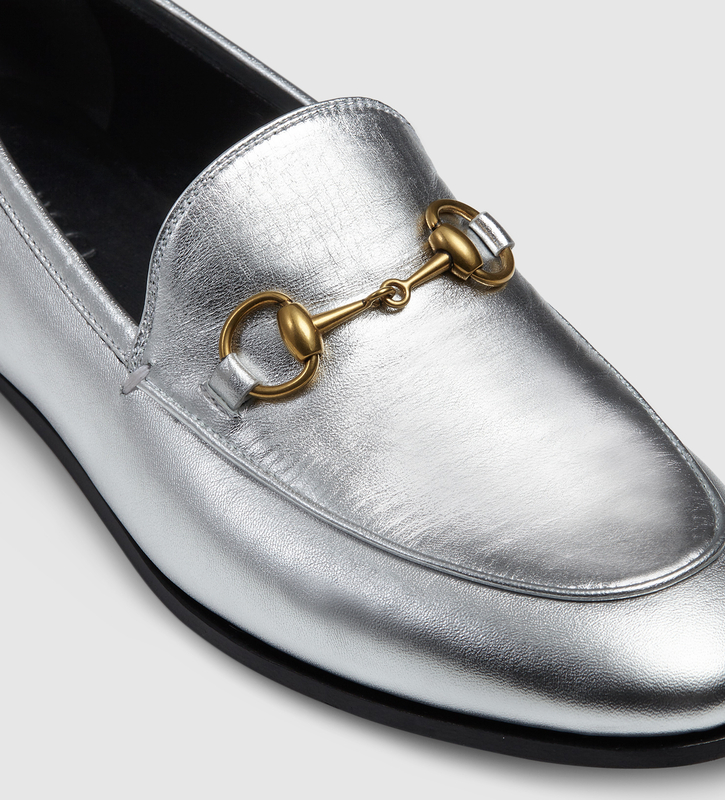 These Loraine loafers in silver are a closer match to the Gucci loafers. The shoes are constructed from soft leather and have padded leather insoles, therefore are of better quality than the Topshop ones. The original retail price is £125 and are now in the sale for £37!. You can purchase them here.